Earlier in the year , FKF had signed a multi Million shillings deal with MP &Silva Group to air top tier league matches in 2015 but the two terminated their partnership after contractual disagreements. 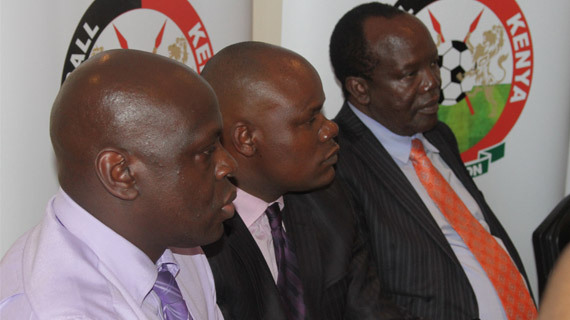 In a communication sent out to the media and also posted on the official FKF website , FKF says, "It has come to the attention of Football Kenya Federation that Mr. Andrea F. Silva, an agent of the aforementioned organization, is now involved in the politics of the forthcoming football elections, working with individuals who have been fighting FKF with the aim of undermining the federation and bring down its leadership." "FKF hereby emphasizes that the relationship between MP & Silva and the Federation was purely commercial and at no point in time did the federation or its agents conduct itself in any manner to undermine the organization even when there have been clear efforts by Mr. Silva to antagonize FKF." The statement further adds that " Mr. Silva is not an agent of FKF and neither is MP & Silva any longer in partnership with the federation as the contract was terminated and FKF has already embarked on the process of suing MPS for breach of contract." The Federation claims that Mr. Silva is going around discussing and speculating about the Memorandum of Understanding signed between FKF and Kenyan Premier League Limited. "This is a pact signed and sealed between the parties and MPS has neither the legal locus nor the moral latitude to seek information or details of the same." They say. FKF concludes that they will seek the support of the government agencies "to ensure any culprits in this regard are brought to justice."